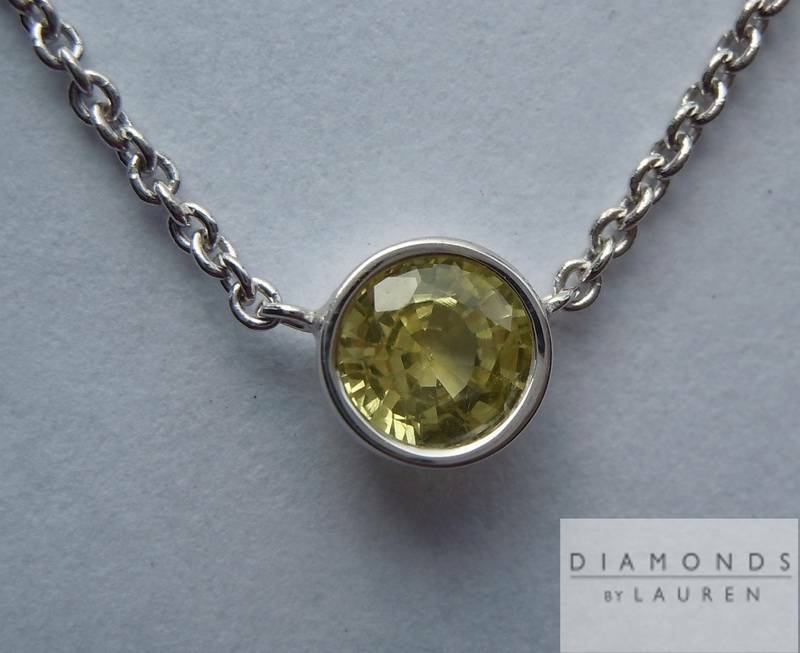 This necklace features a really pretty yellow sapphire bezel set in 18kt white gold. 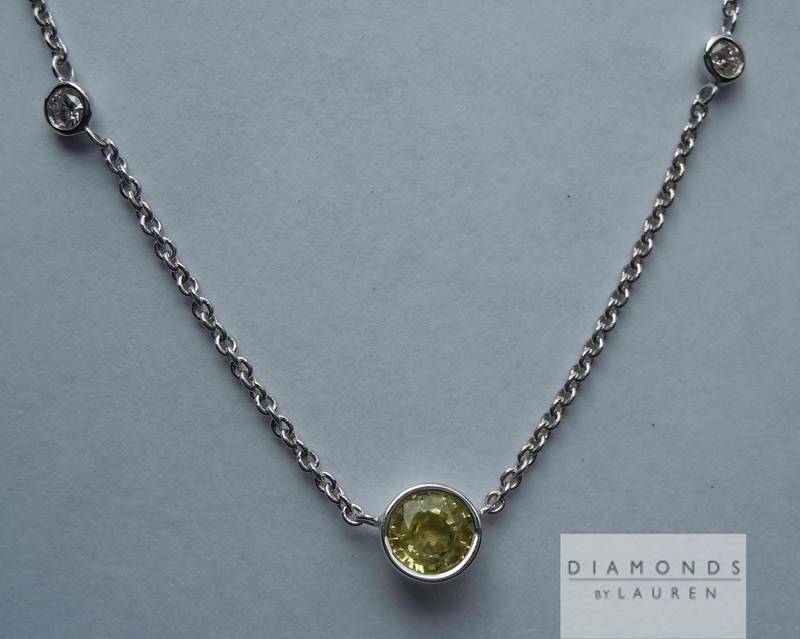 Two diamonds are set on either side of the sapphire. 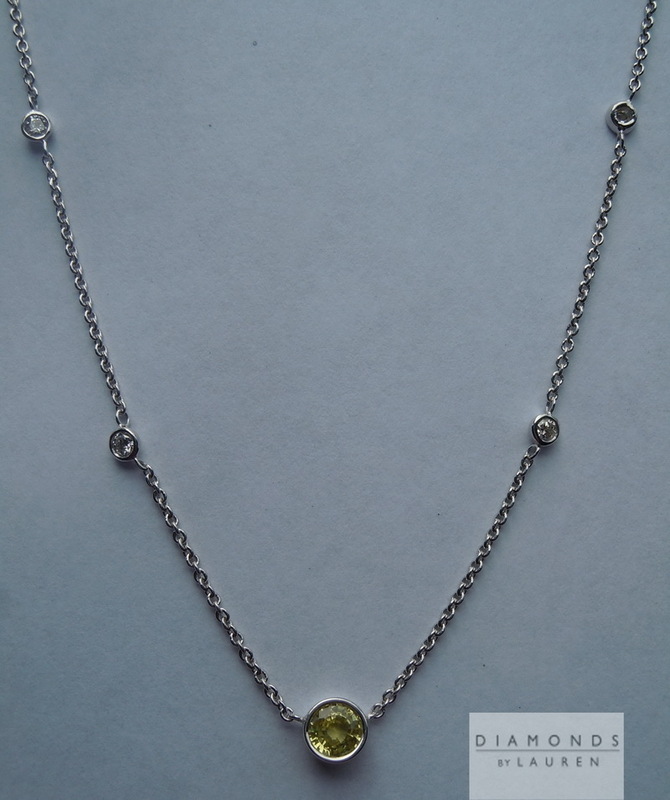 18kt white gold chain at 16 inches in length.